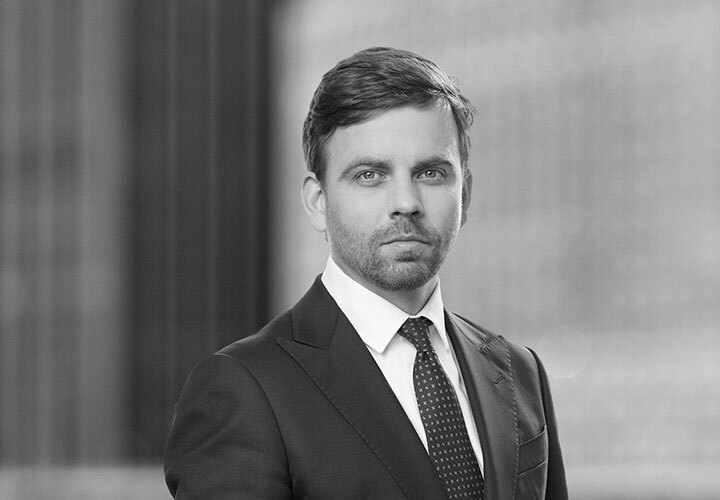 Michał Matera is a Polish qualified lawyer (adwokat) with over 15 years of experience in providing legal advice to international and domestic clients with respect to all types of real estate transactions. 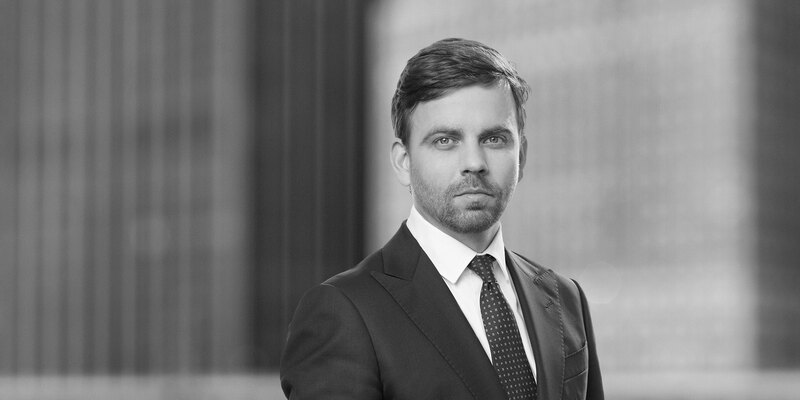 Michał has taken part in numerous real estate acquisitions (including sale and leaseback and cross-border transactions), due diligence projects relating to property acquisitions, development projects, and real estate financing transactions. He is experienced in advising on zoning and permitting processes, as well as in negotiations with local authorities, architects and general contractors. The most relevant examples of his experience include advising on the development of an industrial portfolio, sale of retail centers, acquisition of office buildings, commercialization of office and logistics portfolios, and implementation of various joint venture structures. Michał is a member of Royal Institution of Chartered Surveyors and received a Certified Commercial Investment Member designation from the CCIM Institute. Berlin Hyp AG and Erste Group Bank AG: representation of the banks in connection with €205 million refinancing of portfolio of seven office buildings located in Warsaw belonging to Immofinanz. FLE: representation of the company in the acquisition of the Wratislavia Center mixed-use building located in Wroclaw. International asset management company: advised on approx. €73 million forward purchase of an office building being developed by Skanska in Poznań, Poland. The building constitutes phase I of the New Market mixed-use complex. REICO investiční společnost České Spořitelny, a.s.: representation of REICO, acting on behalf of ČS nemovitostní fond, the largest and oldest Czech open-ended real estate investment fund, in the €164 million acquisition of the Galeria Słoneczna in Radom. M7 Real Estate: representation of M7 Real Estate in the acquisition of an office/logistics portfolio located in Warsaw and Poznan. mLeasing sp. z o.o. : representation of the client in relation to legal due diligence review of the property developed with the logistics facilities, acquisition of the property and drafting financing documentation. Garvest Real Estate: representation of Garvest Real Estate in negotiating a long-term agreement on the lease of a building to be used a four-star hotel. Arcona Capital: representation of Arcona Property Fund N.V. in the acquisition of entire stake in the Polish limited partnership, the owner of an office building located in Szczecin, Poland. Arcona Capital: representation of Arcona Property Fund N.V. in the process of acquisition of a special purpose vehicle holding 3 retail assets from the companies belonging to Real Estate Central Europe (RECE) capital group. Arcona Capital Real Estate Poland: representation of Arcona Capital Real Estate Poland sp. z o.o. in the process of acquisition and financing by Raiffeisen Bank Polska of 8 retail assets from companies belonging to the Real Estate Central Europe (RECE) capital group. Michał has been recognized as "precise, disciplined and open-minded" lawyer in latest edition of prestigious The Legal 500 EMEA 2018 ranking in the Real Estate & Construction category.